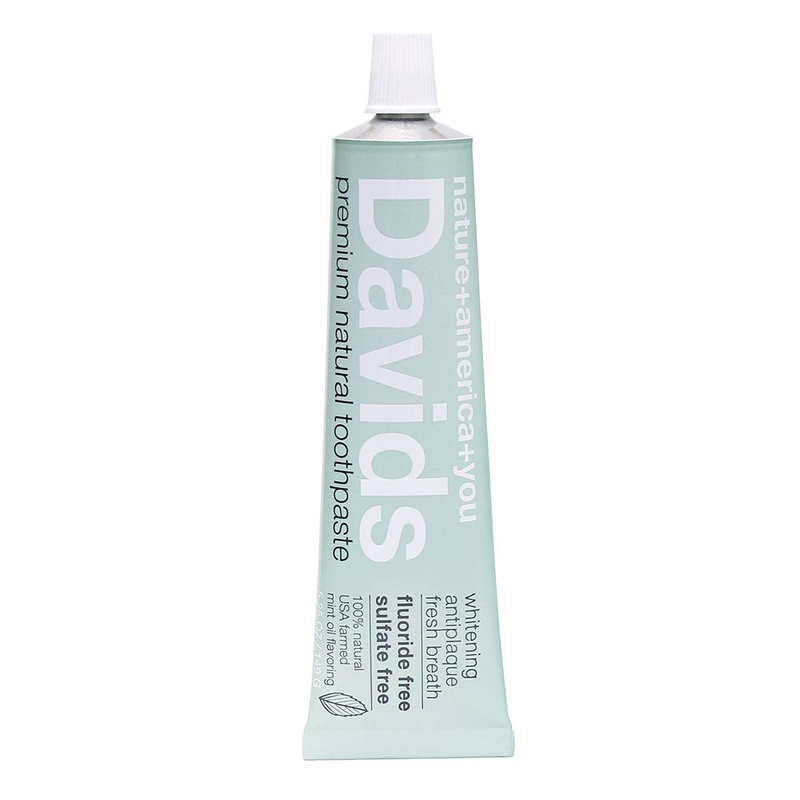 Davids Premium Natural Toothpaste safely and effectively promotes the appearance of whiter teeth, and gives a clean fresh feeling. 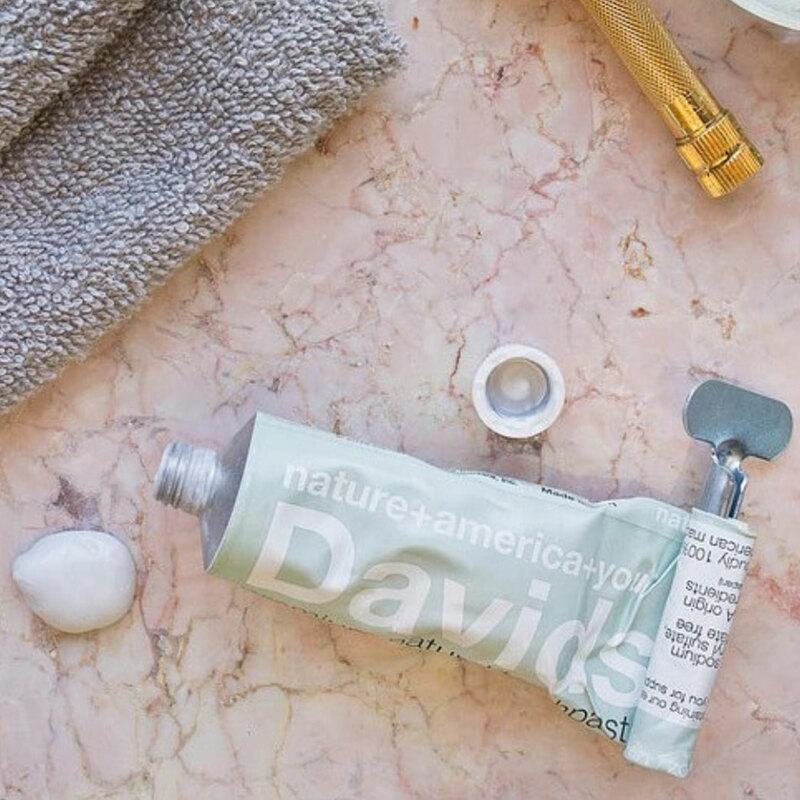 This fluoride free and sulfate free toothpaste uses premium USA origin ingredients. 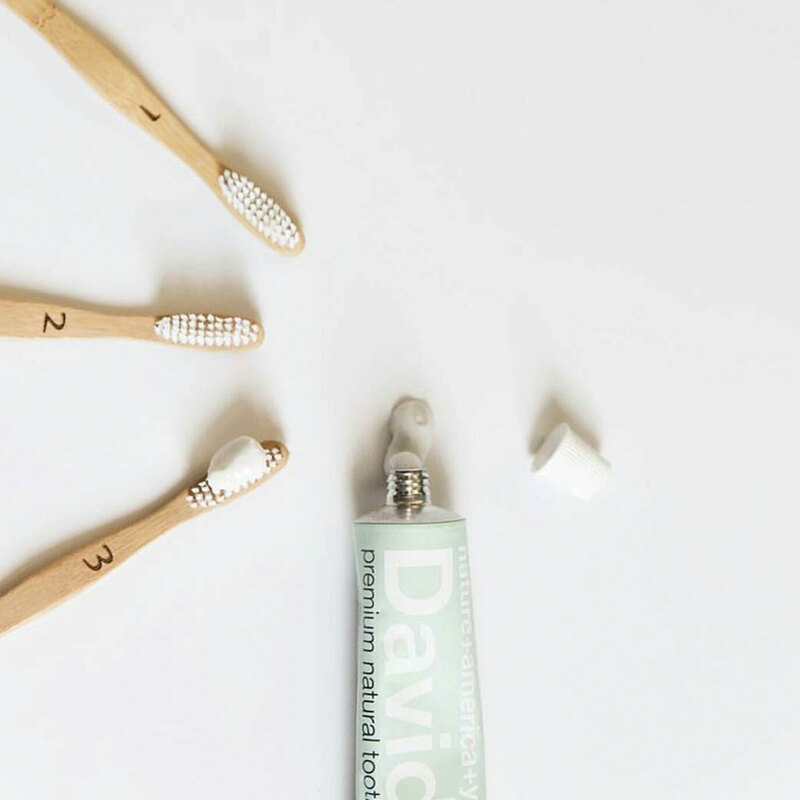 Earth mined calcium carbonate is used as a mild abrasive to help prevent the look and feel of plaque buildup, and diminishes signs of surface stains. Birch derived xylitol lends a strengthened feel, and high quality hydrated silica makes teeth look bright and polished. With the inclusion of pure and domestic essential oils of peppermint, spearmint and wintergreen, your breathe is left minty tasting fresh. Calcium Carbonate, Purified Water, Sorbitol, Sodium Bicarbonate, Vegetable Glycerin​, ​ Hydrated Silica​,​ Xylitol (birch derived)​, ​Sodium Cocyl Glutamate - Derived from Coconut Oil and Sulfate Free, Carrageenan**, Mint Essential Oil, Stevia (Leaf Extract). **Derived from seaweed, NOT to be confused with poligeenan - formerly referred to as degraded carrageenan which causes much confusion.